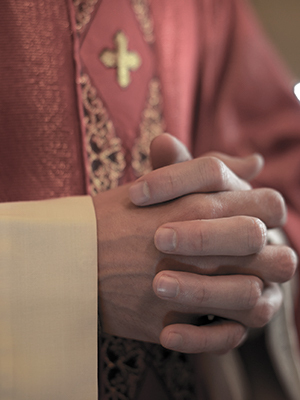 Father Ribaudo was forced to resign in 2003 as pastor of St. Dominic Church in Oyster Bay following allegations by another accused priest, Michael Hands, that Ribaudo sexually abused Hands, according to the New York Times. The allegations claim the abuse occurred while Hands was a student at Holy Trinity High School in Hicksville. Ribaudo was reportedly sent for a psychiatric evaluation while parishioners in Oyster Bay were allegedly told Ribaudo was on medical leave.